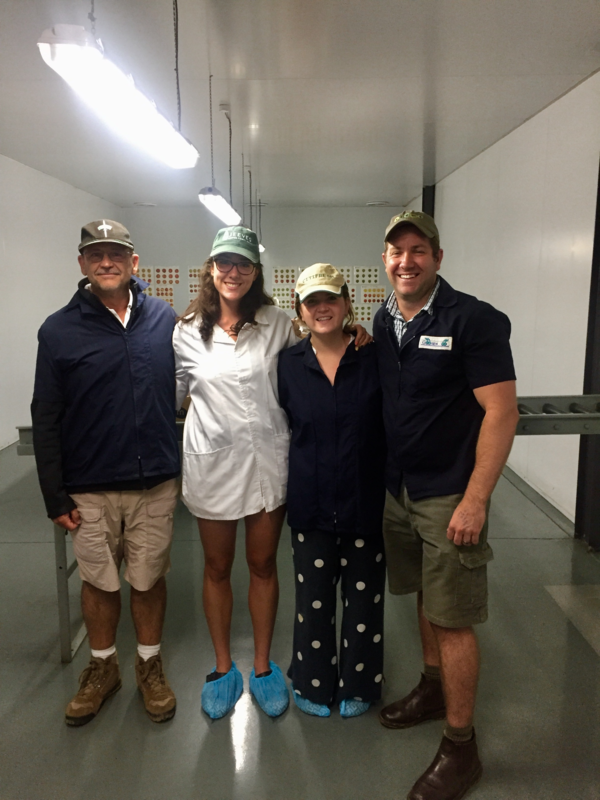 Eleanor Burton, currently on her first secondment on MDS, took advantage of a holiday to South Africa to pop in to see a supplier of dps (her next secondment company). Here she tells us a little more about the day. From an early age working in the family delicatessen and going to trade shows with my mother, I have been fascinated by food producers, their products and processes. Even holidays will include a visit to a producer or supplier of a local delicacy. 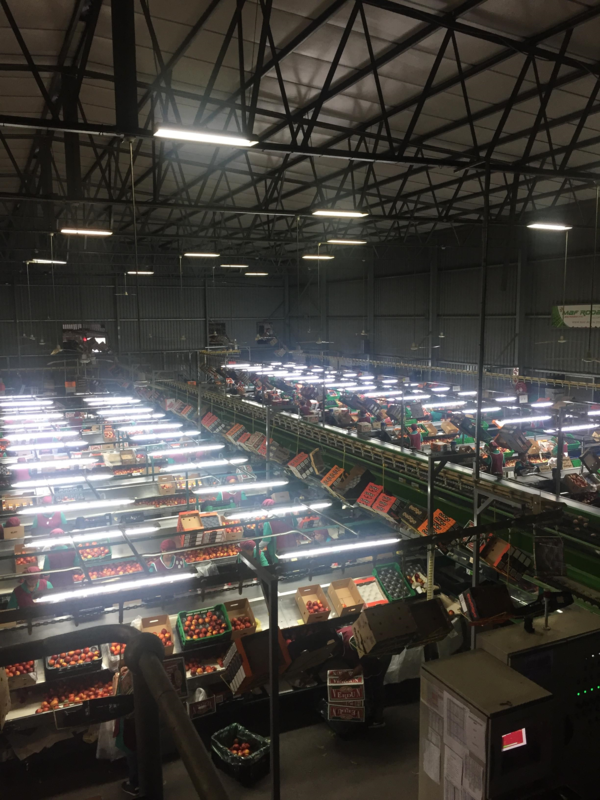 Last month, whilst visiting a friend in Cape Town, I was fortunate to have the opportunity to organise a trip to one of dps’ suppliers, Stems Fruit. 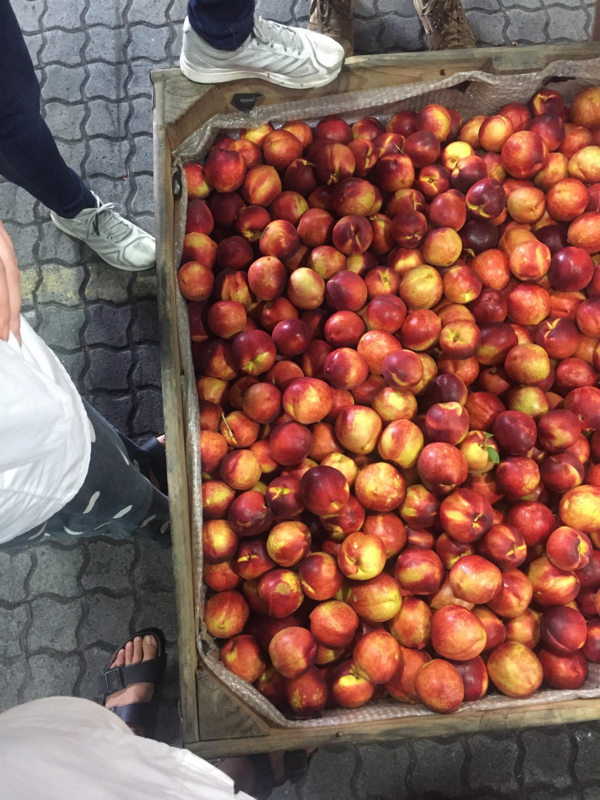 Stems Fruit is a major strategic supplier to dps and they offered the opportunity to see stone fruit, mainly nectarines, peaches and plum, late in the season. Accompanied by Altus Prins, who manages the dps business in South Africa, I headed one hour north of Cape Town to the Stems Fruit head office in Paarl. Here we were warmly welcomed by Pierre Rossouw, Technical Director of Stems Fruit who gave a rounded overview of the business, its operations and how it is developing. We continued our day up in Ceres, an area renowned for its fruit production, with visits to two pack houses, cold stores and orchards. It was fascinating to discuss current issues affecting the supply base and see first-hand how they are developing and adapting their business to overcome these challenges. Similarly, the opportunity to get an understanding of specifications and sampling methods from individuals with a wealth of experience will be invaluable ahead of commencing my technical position at dps from April. It was a pleasure to spend the day with Altus and Pierre, their passion and knowledge of the industry really shone through. Sampling nectarines straight from the orchard wasn’t bad either!